Richard Spearman joined Vodafone as Group Corporate Security Director in March 2015. Richard has responsibility for security across Vodafone’s global operations and his role gives him unique insight into the threats, challenges and opportunities posed by developments in technology, public policy, changing legal frameworks, and shifting societal attitudes. Richard joined Vodafone after twenty-five years in the Foreign and Commonwealth Office and five years working with NGOs. 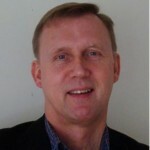 Richard has lived and worked in South Africa, Pakistan, Gambia, Turkey, France and most recently the US.